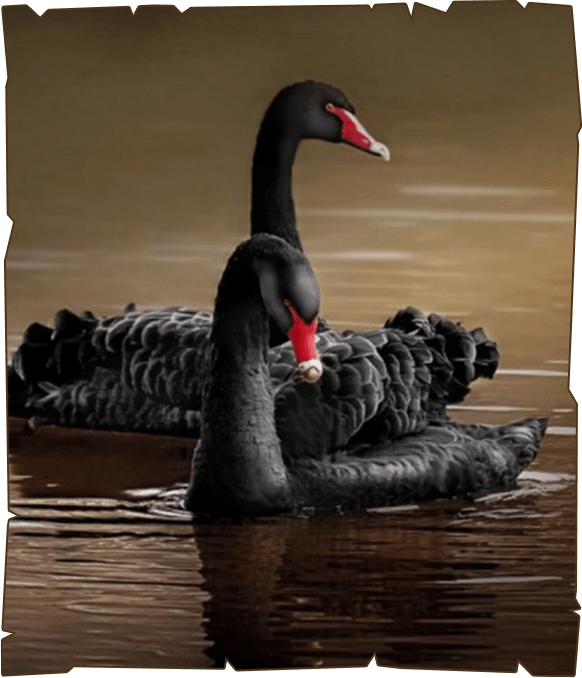 One of just three swan species found in the southern hemisphere, the black swan is a large water bird. Its scientific name means ‘a swan attired in black’, and refers to the species’ almost entirely black plumage. The sooty-black feathers are fringed with grey, especially on the upperparts, and the raised, ‘crinkly’ wing feathers give this bird’s wing a somewhat ruffled appearance.